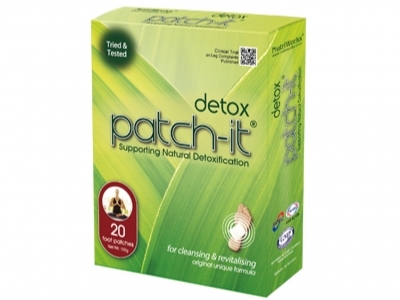 The Patch-It Series utilizes the concepts of Aromatherapy and Traditional Chinese Medicine into easy-to-use foot patches, to aid sleep, detoxification & circulation. Every Patch-It has been formulated with a blend of 100% natural ingredients, including Mandarin wood vinegar as the principal ingredient, to simulate the actions of reflexology. 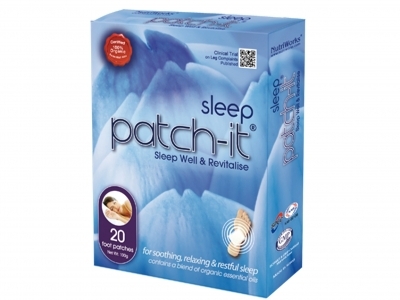 The Patch-It series was tested in Britain with a group of people suffering from poor sleep quality. In that test, users applied the patches over the course of one month and the results indicated the potential to increase the number of hours rest as well as reduce the number of times the user woke during the night. 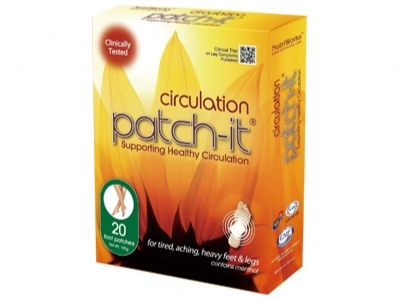 Nutriworks’ clinical trial entitled “Is Patch-It® better than placebo in alleviating swelling and ache in the lower legs and feet? A randomized, placebo-controlled, double blind, crossover, sequential trial.” is being published in Dove Press, Open Access Journal on Clinical Trials. Sleep Patch-It is specially formulated with a calming blend of organic essential oils designed to relax and revitalize. These oils are combined with natural ingredients and the actions of reflexology in the form of easy-to-apply foot patches. Dermatologist tested – for a soothing, relaxing, restful sleep, thanks to the actions of the key ingredients and a unique calming blend of certified organic essential oils like Lavender, Sage, Basil, Ylang Ylang, Bergamot, and Bitter Orange Oil.